When Edward woke up the next day, something dramatically had changed in the village. It looked empty and abandoned. Edwards blood chilled to ice when he saw an old druid – their eccentric neighbor – sitting at the kitchen table. He gave Edward a nasty smirk. but you'll in turn have to solve seven tasks for me." Edward froze, and nodded. Task: This is the test given to Edward by the old druid. At least one of those scrolls details a spell to return life to the village. A spell to forever turn your village into a Natar village is written on the first scroll. "Are those statements on the scrolls true?" asked Edward. "They are either both true, or both false," answered the old druid. "And what if none of the scrolls contains the necessary spell?" "Then, you're out of luck," the old druid threw him another chilling smirk. "Now make your choice." Reminder: You only have 24 hours to solve this riddle. You must post your answer in this thread. Please, remember. To take part in prize draw for this contest you need to play on UK domain. To check this, I need your account name and server where you're playing. *Scrolls contain spells either getting village back to live, or turning it to Natars. They can't be empty or contain any other non-relevant spells. Lets go with first scroll . Scroll II: At least one of those scrolls details a spell to return life to the village. Scroll I: A spell to forever turn your village into a Natar village is written on the first scroll. 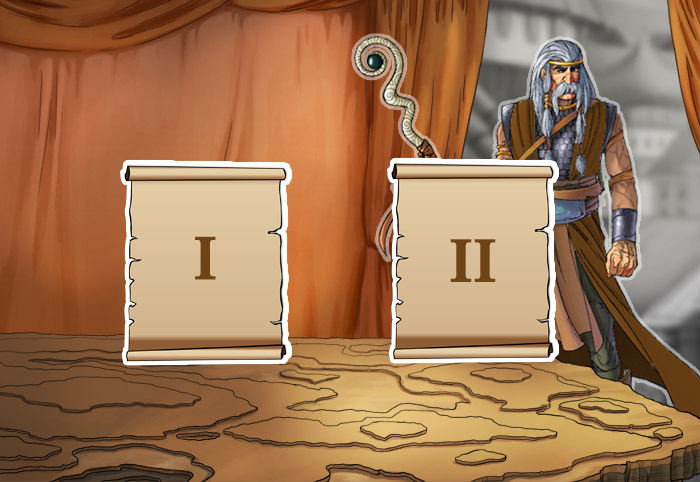 Both the scrolls must be TRUE therefore he should pick: Scroll 2! Hi, My Account name is Mowafak I play in the fast server UK tx3.travian.co.uk. My answer is Scroll 1 is the right statement.